Learn from the experts in the industry at the best price. Click to register today. 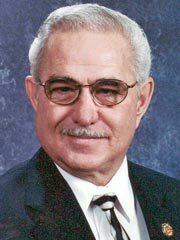 Pete Iaricci has been involved in the automobile industry in one way or another since 1977. He has held positions as a Used Car Manager and Service Manager for a large franchise, opened his own dealership, and also a rental company which he grew to more than 10 times its initial size. His services to the automobile industry are numerous and generous. Having been a member of VIADA for over 25 years, Pete has served as district and state president, has received the prestigious Quality Dealer of the Year award, has served on the executive board in a number of offices, served a four-year term on the Motor Vehicle Dealer Board, was awarded the 2006 Presidents Award from VIADA and has been named Honorary Life Director for VIADA. After 30 years of experience in the industry, he closed his dealership and began assisting in helping others pursue their careers as independent automobile dealers in the Commonwealth. In 2007 Pete became an employee of VIADA as an Instructor, Dealer Consultant, and Lobbyist.